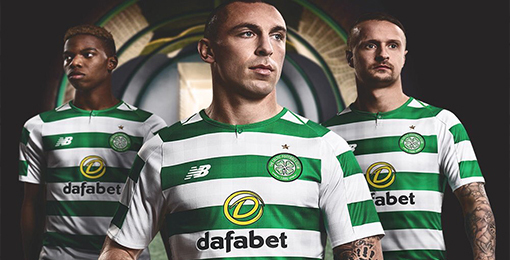 If you want to buy cheap celtic shirt for 2018-19 season, buy it here in cheap-football.com , Check our exclusive range of celtic Football Shirts / Soccer Jerseys and Kits for adults and children at amazing prices. Get the cheap celtic jersey shirts, soccer kits with wholesale price, Free Shipping Worldwide! Celtic is a Scottish football club based in the Parkhead area of ​​Glasgow, which currently plays in the Scottish Premiership. It was founded in 1887 and played its first game in 1888. Since its founding, Celtic have won the Scottish league championship 49 times, most recently in 2017–18, which was their seventh consecutive championship. They have won the Scottish Cup 38 times and the Scottish League Cup 17 times. The club's greatest season was 1966–67, when Celtic became the first British team to win the European Cup, also winning the Scottish league championship, the Scottish Cup, the League Cup and the Glasgow Cup.